A needle roller bearing is a bearing which uses small cylindrical rollers.The difference between a needle roller bearing and roller bearing is the ratio of diameter and length of their rollers, when the ratio of the diameter and the length of roller of a roller bearing is between the interval of 0.1 to 0.4, that roller bearing is called a needle roller bearing. Needle bearings have a larger surface area that is in contact with the bearing outer surfaces compared to a ball bearing. The typical structure consists of a needle cage which orients and contains the needle rollers, the needle rollers themselves, and an outer race (sometimes the housing itself). Radial needle bearings are cylindrical and use rollers parallel to the axis of the shaft. Thrust needle bearings are flat and use a radial pattern of needles. 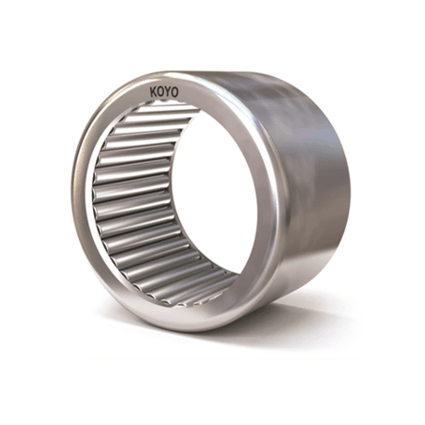 Full complement bearings have solid inner and outer rings and rib-guided cylindrical rollers. Since these bearings have the largest possible number of rolling elements, they have extremely high radial load carrying capacity and are suitable for particularly compact designs. Needle roller bearing are available in single row, double row and solid or split cage units.